Root canals are common, and not as scary as people might think. Sometimes damage occurs to the nerves and soft tissues inside your teeth. This may mean you need to have a root canal performed. There is a negative stigma around root canals, but they are a relatively painless procedure that is very straightforward. Essentially, a root canal consists of removing the infected soft tissue from inside the tooth to end pain, sensitivity or recurring infection. Once it is removed, the dentist will seal the tooth back up. 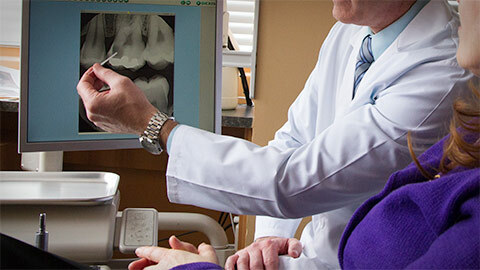 Root canals can save your teeth and remove the necessity of extraction.